British Columbia's chief veterinary officer is urging anyone who sees a dead rabbit or notices rabbit colony populations declining to report them to conservation officers so officials can monitor the potential spread of a deadly virus. 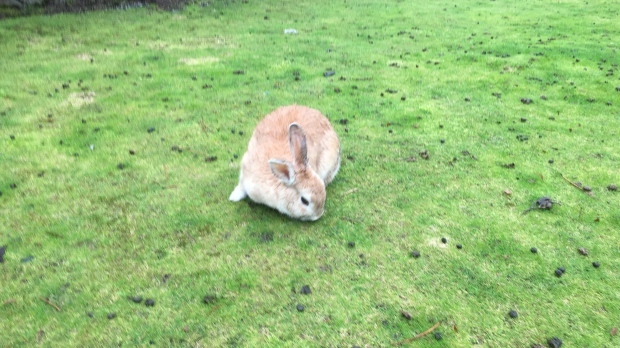 Jane Pritchard says four rabbits in the Parksville area tested positive for calicivirus, which is highly contagious and causes rabbit hemorrhagic disease. The virus can kill rabbits in 36 hours but does not affect any other animals or humans. It was first identified in the province last year and killed hundreds of rabbits across much of Vancouver Island and in Delta near Vancouver. There is a vaccine against it, however, and Pritchard is encouraging anyone with pet bunnies or domesticated rabbits to get them immunized. She says thousands of doses of the vaccine were brought into B-C last year after the virus was identified and veterinarians have been inoculating their clients' rabbits since April of last year.